It's all very well us telling you how good our DobyGrip system is, but until you try it our for yourself, you'll never really know! 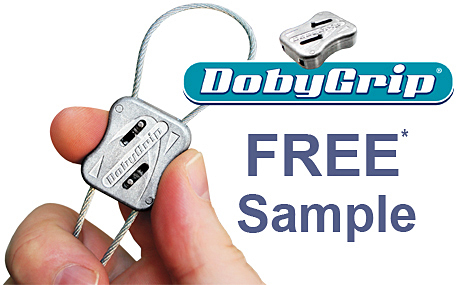 Why not take a few moments to contact us either by email to: enq@dobyverrolec.com or the main office on: +44 1207 238844 or fax on: +44 1207 283563 and we'll send you one of our DobyGrip Wire Suspension units FREE* of charge, with no obligations attached. Please also state whether it's a standard DobyGrip or DobyGrip Max you require! *Offer is subject to stock availability and one unit per customer.